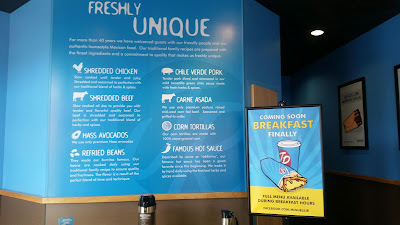 Fast and Tasty - What's not to love!? 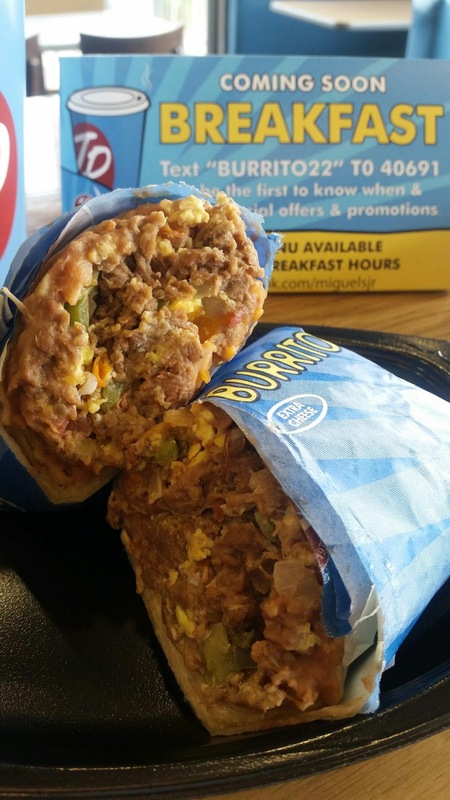 I am always "On The Go", so when it comes to feeding my family, I am always looking for meals that are filling, fresh, flavorful and fast! When I heard about the Del Real Recipe Challenge I was so excited to just put something so simple and sometimes forgotten out there! You can really DO NACHOS up. Adding just the right amount of everything that you like to treat your palate together in each bite with can be achieved when you are cooking at home. 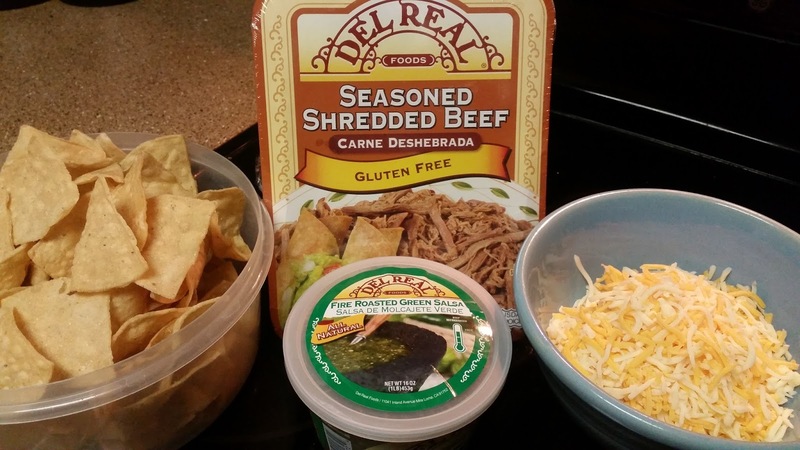 Total Prep Time of my Nachos is 10 minutes. That includes the 4 to 5 minutes it takes to chop a quick fresh pico de gallo. * While your Seasoned Shredded Beef is being heated up, set tortilla chips on a plate. * Sprinkle with cheese (as much as you like). 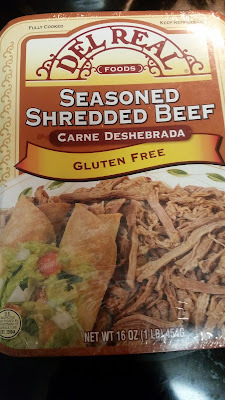 * Add Shredded Beef on top and in random places around the tortilla chips. 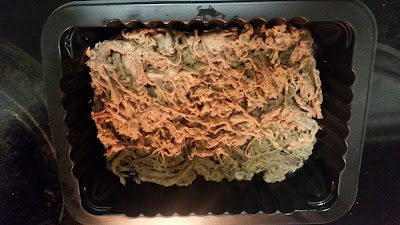 * Heat in microwave for 30 to 45 seconds to melt cheese and heat up meat just a bit more. 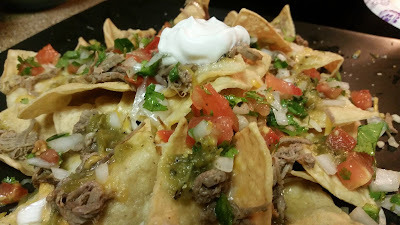 * Finish with a dollop of sour cream. Shredded Beef Nachos done in 10 minutes or less if you buy store fresh pico de gallo! 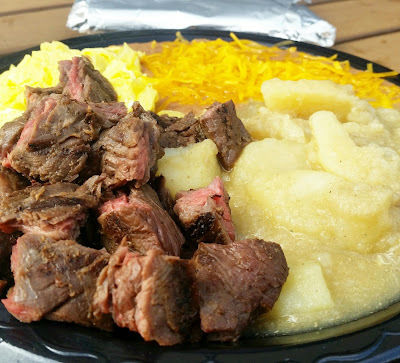 Are YOU Ready to EAT at the Taste of Orange 2016!! 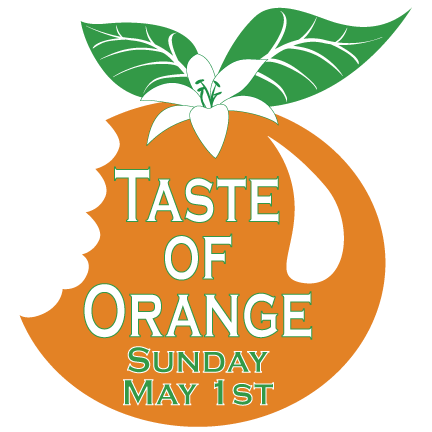 The Orange Blossoms Auxiliary of Assistance League® are inviting us all to the 10th Annual Taste of Orange! This fabulous fundraiser will take place on Sunday, May 1st from 3-7pm at the Assistance League Chapter House in Old Towne Orange, located at 124 South Orange Street. The event will feature top local restaurants, silent auction, opportunity drawings and live music! 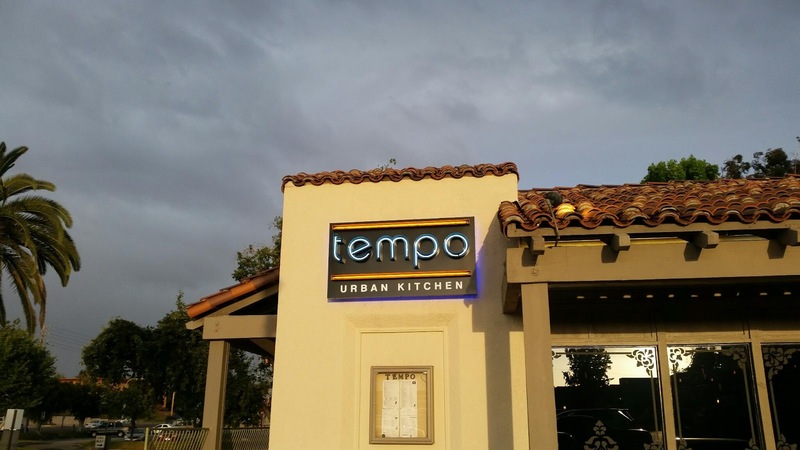 Can you keep up with the eats Tempo Urban Kitchen? Wow! So many flavors and cooking techniques make Tempo Urban Kitchen it's own mark in the Foodie world! 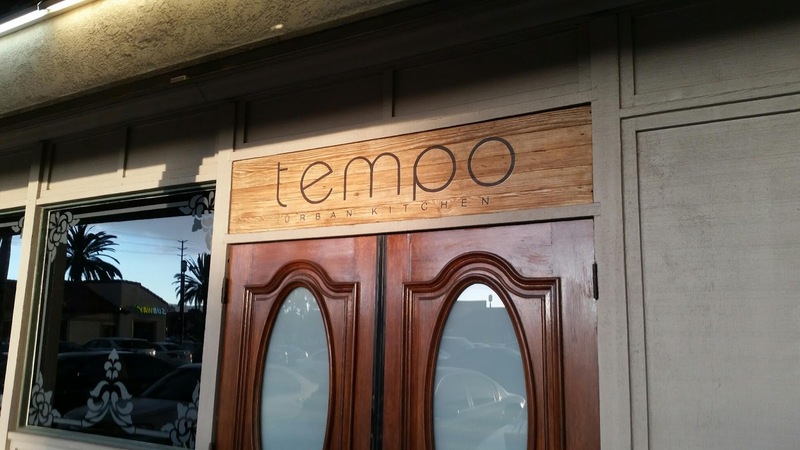 Thank you to these three Top Chefs, Sal, Charlie and Chris, for amazing eats tonight at +Tempo Urban Kitchen ! I think what I love most about you three is the passion you have for the palate! Over at Tempo Urban Kitchen there is no simple way to do things... they are all about creativity, innovation in the kitchen and all sorts of cooking techniques, even if the time take longer to bring the dish to life! Just because they work hard at it does NOT mean they don't like to enjoy doing it. Look at these faces, the faces of three Chefs that love what they do! 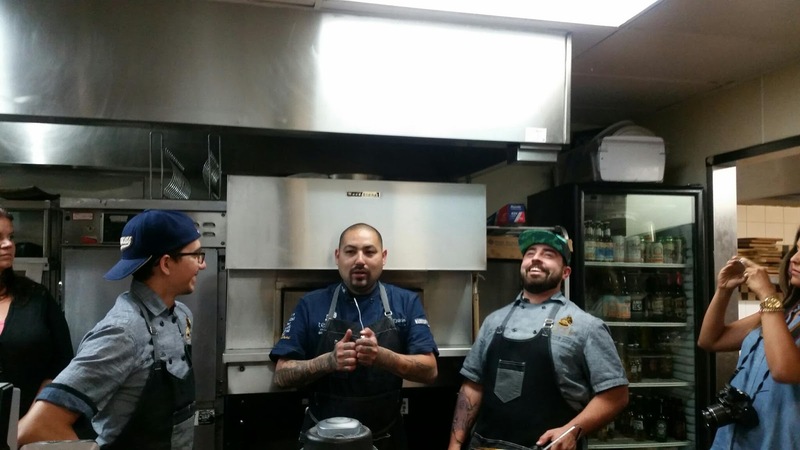 I am a huge fan of the +SousVide Supreme and these Chefs are too. They are using the Sous Vide method of slowly cooking in vacuum seal for hours, sometimes days, to bring that perfect meal together. 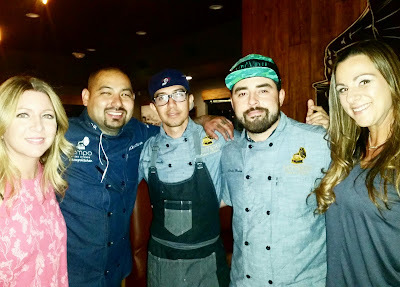 Before I get into the amazing eats we tried, I wanted to say Congrats to the owner Jorge and all three Chefs! There are three locations that will each house one of these resident Chefs in their kitchen! 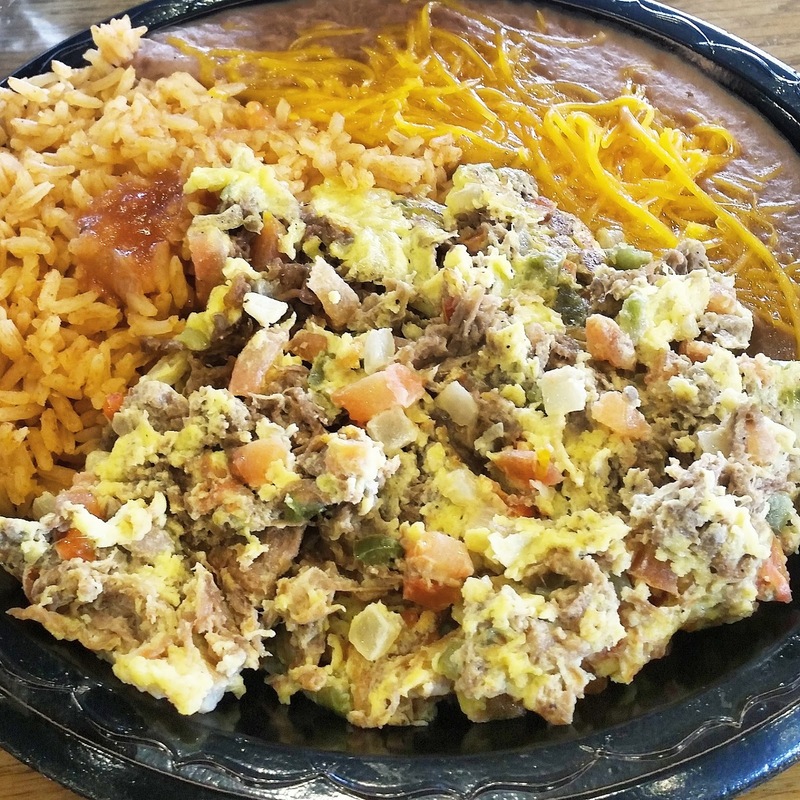 Super excited for Chef Charlie, who will be headed to Villa Guadalupe as the head Chef in that location. Something else that is awesome news... he will be working it as Farm to Table. Does not get any fresher than that! Congrats! We started off with a refreshing cocktail! The Mango Serrano Infused Margarita. 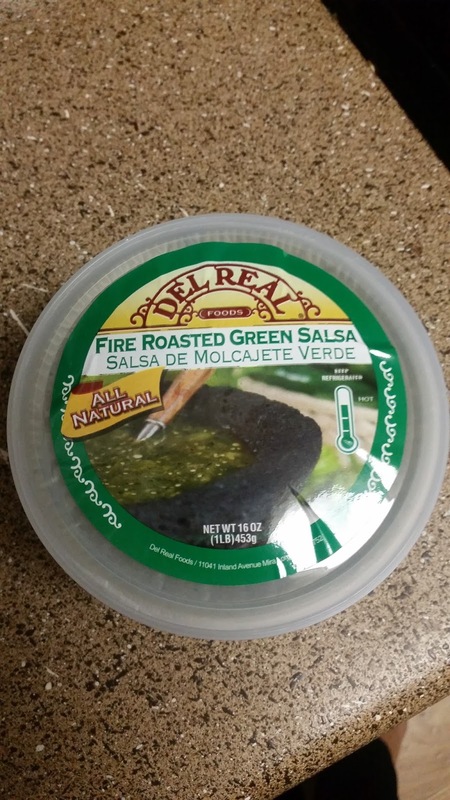 Insanely Delish! I wanted another stat.. okay maybe like 3 more, it was so good! 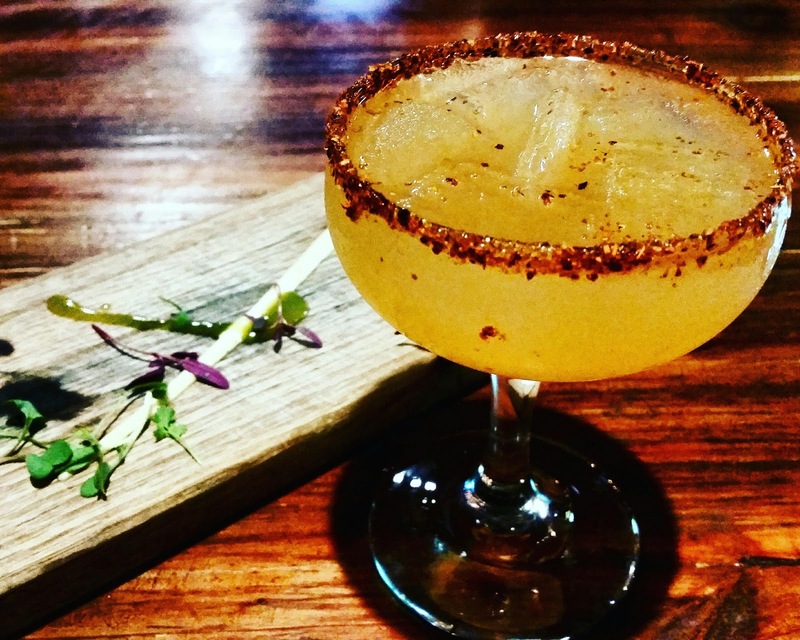 Look at that Tajin on the rim.. yes please! 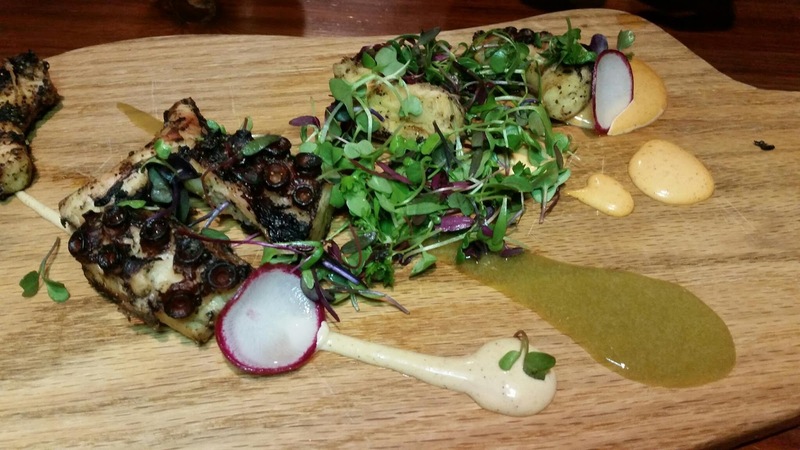 Our first dish was Grilled Octopus. I love seafood and Octopus is one of my favs. It can be made so many ways but always needs to be done right. The char was perfect and the seasoning was delish with citrus and mixed baby greens. 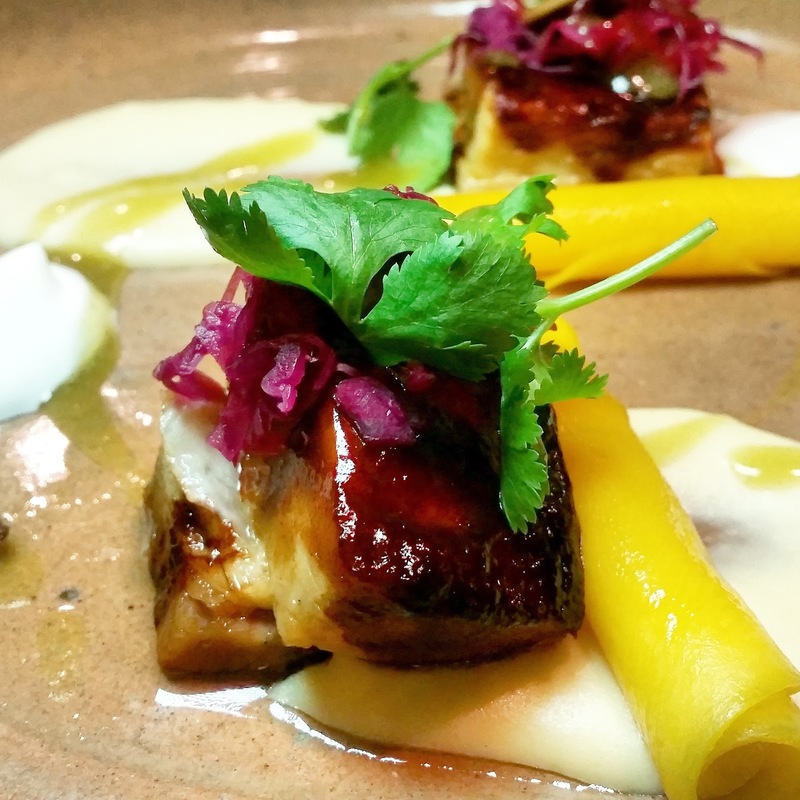 Up next we had the Asian Inspired Pork Belly. Always a fav.. I love Pork Belly!! 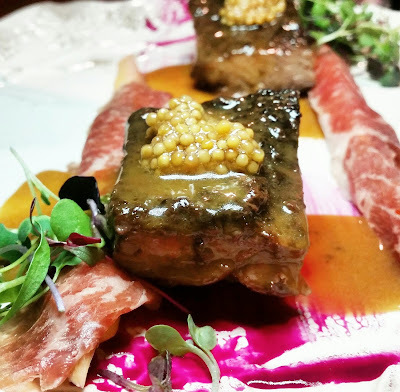 Have you ever tried anything cooked in a Sous Vide? I have before but this was even softer to the bite and falling apart in my mouth. So full of flavors and I was savoring each bite. 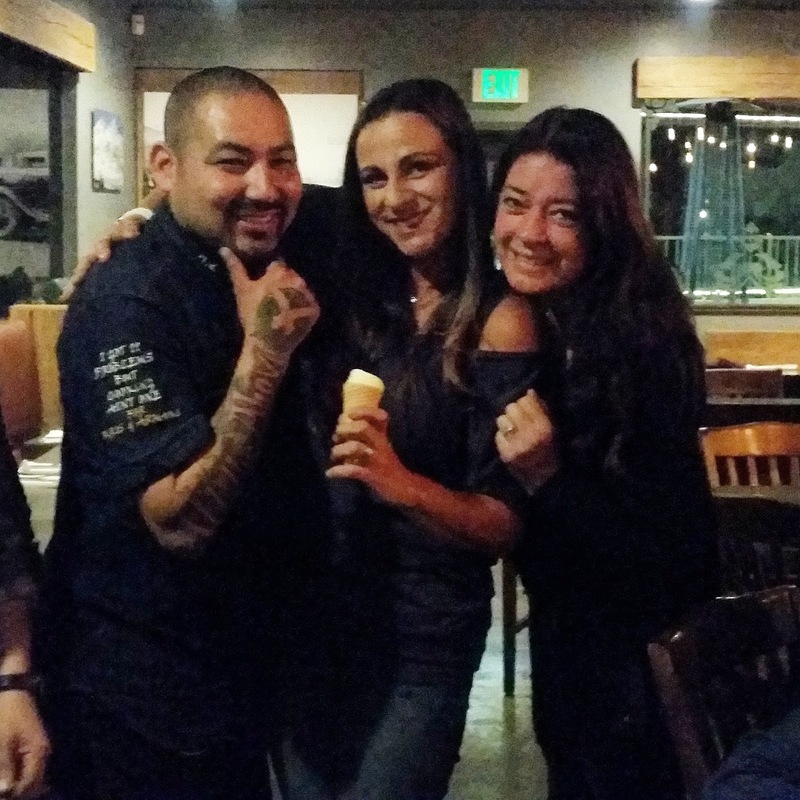 To end our amazing eats we had the pleasure of our Chef's making fresh Ice Cream... Table-Side! You can too and it is fun! We were treated to Ginger creme broûlèe ice cream. I would go back for the specific taste and fresh ginger in that Ice Cream anytime! Thanks Chef Chris for our Ice Cream! 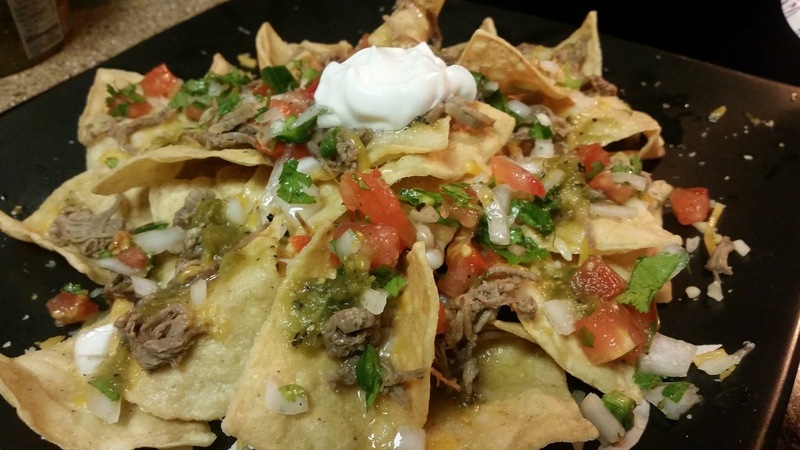 Next time you are looking for a new spot to try out for a great taste and fresh new eats... Try out Tempo Urban Kitchen and let me know what you think too! Have you heard of The #SockIT Soccer Training Tool? Neither had I until we were asked if we would try it out. Training in Soccer is key. Endurance and agility are things that soccer players train in daily. Footwork and precise strikes on the ball are so important in tactical play at any age level. Learning the game of Soccer young is something we were able to do since my dad played professional Soccer in Greece. At a young age both my brother and I were asked if we would like to play Soccer too. Long story short, we did play, for many years and on through College level returning to Coach in our hometown. What we did not have back then was a unique training tool that would help perfect our fierce shot or strike of the ball. We would set up balls and shoot them at the goal but there was nothing really telling us that we nailed it in the right spot! Here comes into play the training tool for Soccer, the SockIt. Created by Joe Briganti, who wanted to help his two young daughter become more skilled at soccer, in an effective & simple way. After searching for many tools, ways and techniques where non seem to fit the need, the SockIt was born! We tried the SockIt with my son who is 4 and on the Autism Spectrum and my daughter who is 8. My son has never played on a team yet, this will be his first year. 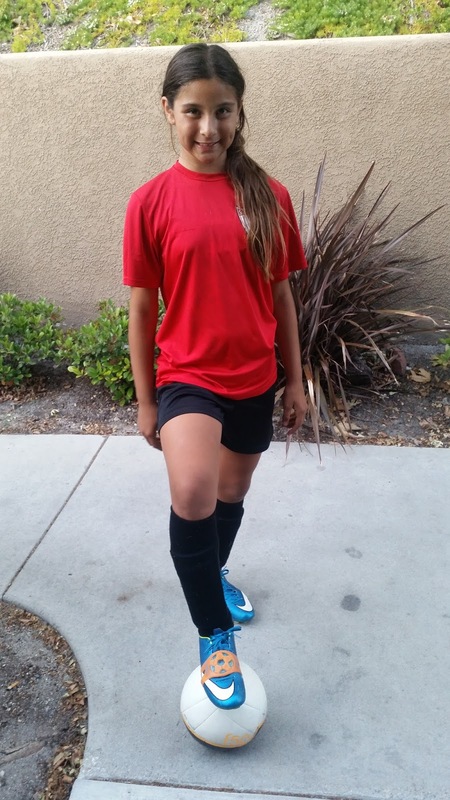 My daughter on the other hand is in club level Soccer and is honestly gifted in the vision of the game and at 5'2" and 8yo, when she tells me..."Mama I am going to play in the Women's World Cup one day..." I totally have faith in and believe her! My 4yo Son loved it. He is on the taller side so his foot is also bigger. I was not sure if he would be okay with the sensory aspect but he loved it. There was nothing bothering him about the fit, the placement or the use of the SockIt. He did well. He really enjoyed lighting it up so he was just kicking to see the light of the SockIt. That was fine with me.. that is touches on the ball and a great start! My daughter on the other hand was quick to put her cleats on and try it out. She was able to put it on her boot all by herself, straighten it out and put the placement of it around the arch in the middle on top of the laces where the perfect strike potential is! She was able to see the light as she struck the ball but more importantly for her if the feel, she knew that the SockIt was on the sweet spot. She has been working towards her sweet spot for months now and perfecting the way she leans her body to crack that swift strong shot. Both of the kids really liked using it. We have had the SockIt for about 2.5 weeks and the kids have used it both in practice and at home just kicking around. We tried the SockIt with tennis shoes too and it words just as great so that my kids can practice anywhere not just on grass in cleats. A few tips we wanted to share in general about lighting up the SockIt with your SHOT! * Lean your body over the ball. If you lean back your shot goes up and not as in control. * Use your LACES by locking your foot forward in a pointing motion when striking the ball. * Follow through... do not stop your leg.. kick all the way though as if you were not going to stop so that the power follows the ball from your leg and foot. We really enjoyed testing the SockIt and we will continue to use it. I just need to get another one since BOTH kids love it and want to practice skills and training together! They come in cool colors too, I think this is attractive and fun to young and older. There is Rocket Orange, Attacker Blue, Striker Pink and Smashing Yellow for you to choose your SockIt color in! 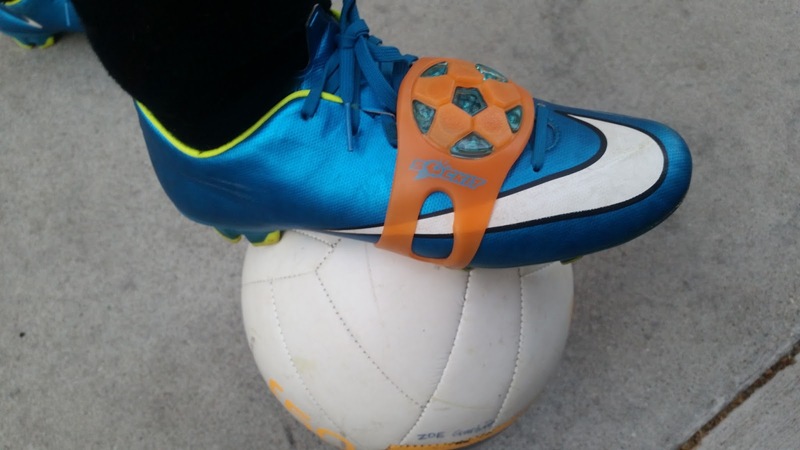 So why will we use the SockIt as one of our Soccer interactive Kicking Trainers? 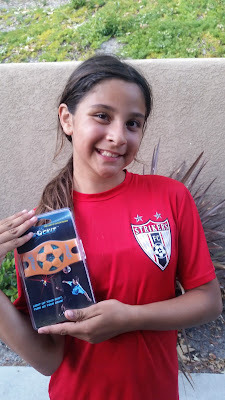 * The SockIt Soccer Trainer makes learning the game of Soccer fun... that is number 1 for beginners for sure. * The SockIt teaches proper techniques in kicking. * Provides instant feedback to the player using it. * Encourages Practice (and exercise comes with that). * Player Development in shooting, passing and juggling. * Fits BOTH feet, Left or Right for both users to train effectively. We are glad we were able to experience testing out the SockIt and like they say... "Light up your shot, turn on your game" !! 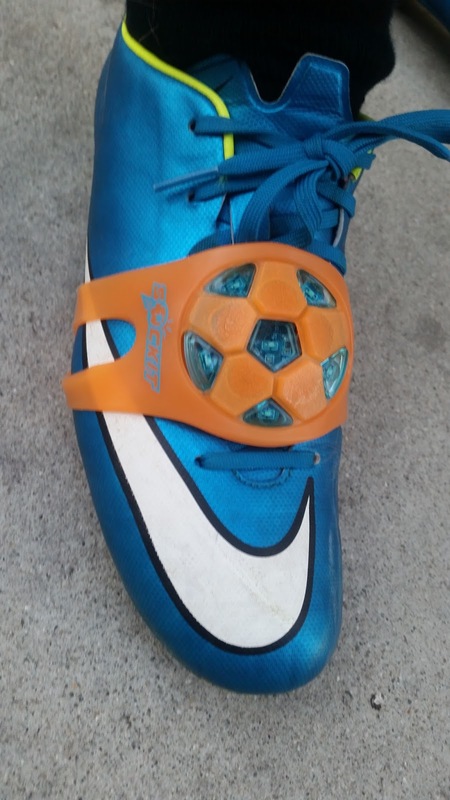 If you are interested in The SockIt Soccer Training tool, please check out heir webiste HERE and enter my special discount code at check out - ONTHEGOOC15 for your 15% off! iLUMINOUS, a new, high-energy extravaganza that illuminates the wonder and imagination of every child at heart is coming to the Southland! Don’t miss the high-octane Yeromenko on the gymnastic bars, the brother-sister roller skating daredevils, and the Justin Bieber of the circus world – Patrick Marinelli flying high on the aerial straps. 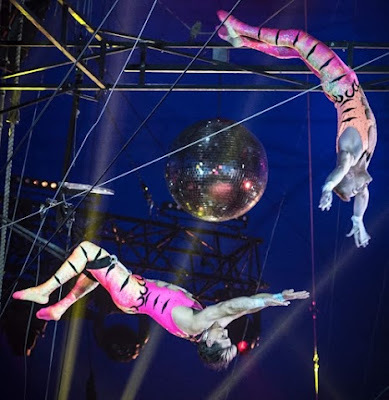 See the luminous athletic bouncers on the trampoline wall, the girl power contortionists, musical funnymen, light jugglers, phosphorescent trapeze artists, beautiful dancers, glow-in-the-dark motorcycle stuntmen, and more! 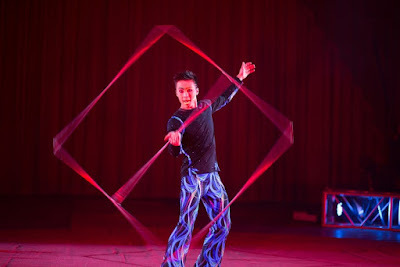 You can get all the fun details at www.circusvargas.com. We are so excited to attend. Not only has it been a few years since we've been but it reminds me so much of my mom. She loved to take us to the circus when we were kids. I hope to bring back this tradition to my own family. HOT TIP WHEN ATTENDING: Arrive 45 minutes early for the interactive pre-show where kids can join the circus! Stay for a post-show meet and greet with the stars! Autism & Special Needs Tip: I was told that Circus Vargas takes special steps so that everyone can feel comfortable in the meet and greet. So if your little one gets overwhelmed during the show for some reason, take a break, come back and or attend the meet and greet too! 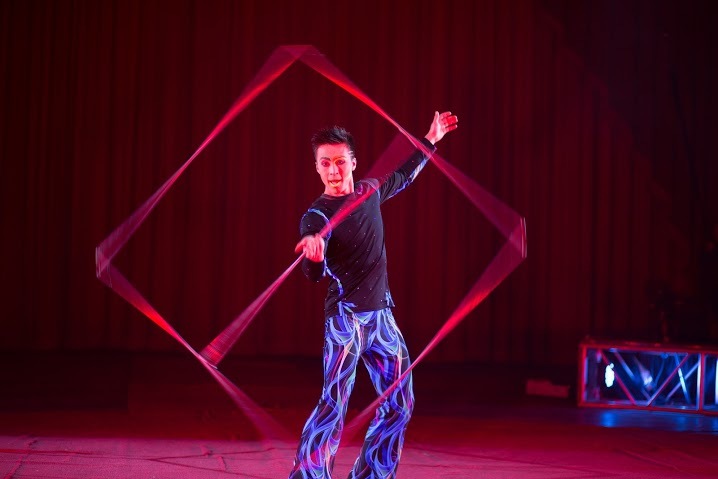 Also advise the Circus Team early at the beginning or at intermission of any special meet and greet needs..During the meet and greet if there is a need, "It’s easy for a performer and a family to step away from the crowds to the side for a chat and to take photos." just need to tell them in advance... LOVE THIS! I will have all the details after we attend the show too... you know the Autism friendly tips that I hope help others know what to have a heads up on so they too can enjoy the Circus with their whole family! 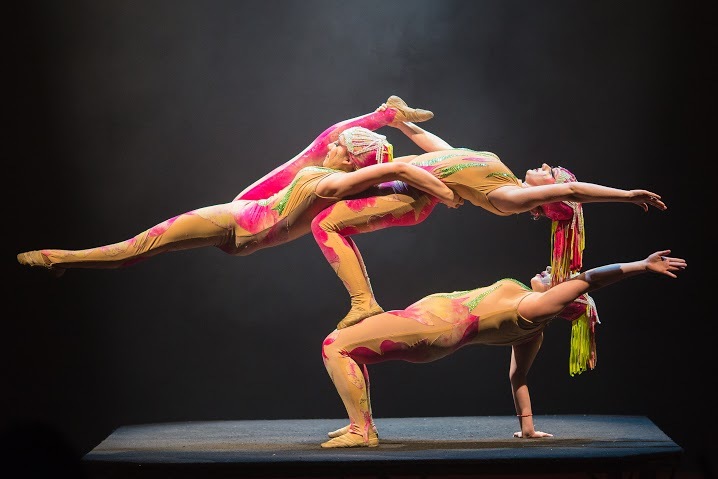 Be sure to follow Circus Vargas on their social media too. 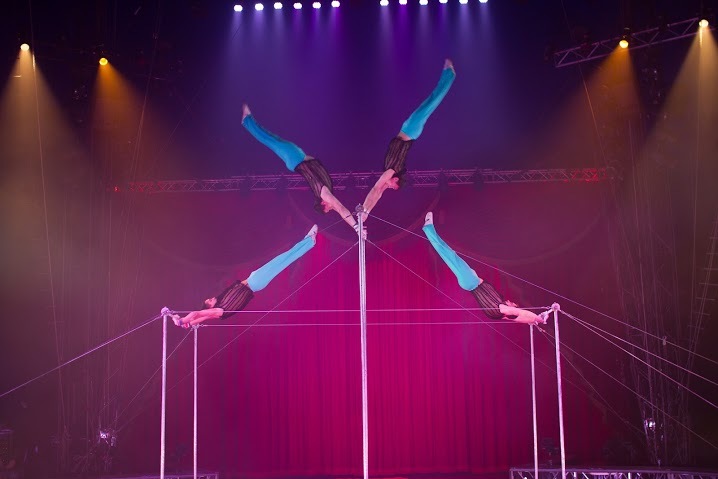 Where will Circus Vargas be? Get your tickets EARLY and enter our special readers code of MOM5 to get $5 off each Child and Adult ticket in the Arena and Bleacher sections. To help us kick off some family fun for you and a pre Mother's day treat, we are running giveaways to attend opening night!! 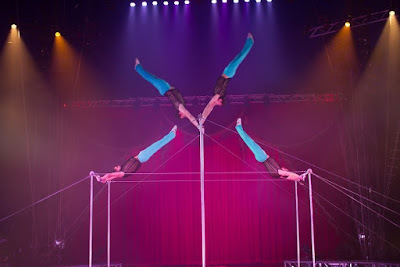 I hope that you make Circus Vargas a tradition for your family too! LEGO® NINJAGO® World at LEGOLAND® California Resort Opens May 5th! Follow along tomorrow as we get a preview of it all live from Legoland! We will be live from LEGO® NINJAGO® World at LEGOLAND® California Resort tomorrow starting around 10am. We are super excited to be invited to the preview and press day. I heard that we will be able to see everything that Ninjago World has to offer from the specialty eats, shopping and of course the ride in 4D! * More themes - with the Hotel expansion there will be a few more themes added into the mix. This will give a much more broad choice for the kids on girly, boy, or unisex themes. * Announcement of Season Activity Dates. Special boo treats and fireworks included. * The Disability Assistance Pass is much like Disneyland's system. Super easy, super efficient and totally helps plan out the day since you get a return time for the next ride of choice. So... get a time for a ride, see some sights like Mini Figure Land and then go on your ride at assigned time. Want to ride more? 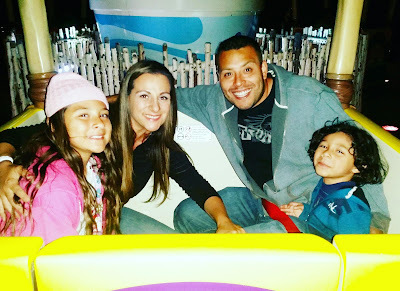 Do the same thing all day long so that you can enjoy everything in the parks with your disabled family member too! * All day can get overwhelming for one with Disabilities. I like knowing that the First Aid office is super friendly and willing to help all situations. There is everything that you may need for bumps and bruises and also to calm down let your sensory sensitivities take a break and be a bit more on the quiet side for a moment. * When in doubt or need some help - Just ask. 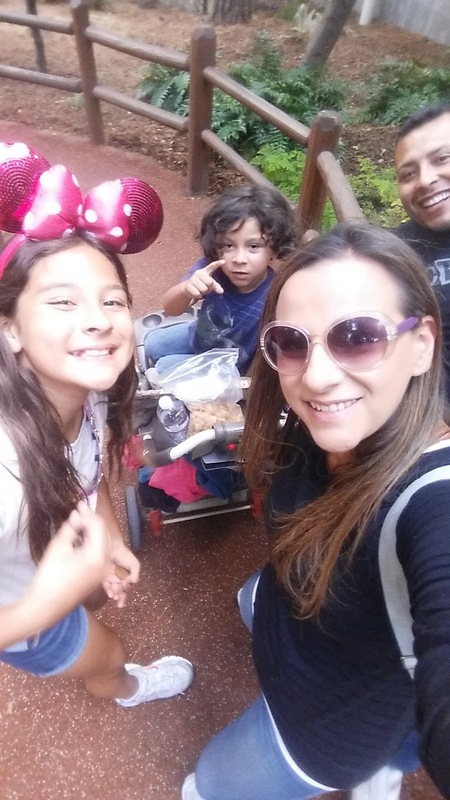 I have run into issues or situation where I have needed first aid, a little stroller help, someone to open door for me not to lose a child... the team members at Legoland CA are amazing and wiling to help with it all. * Break time - A few good spots for a sensory break or even just to get away from it all for a moment. ** Heart Lake City Horse Stables - brush pony hair, build, make things to the horses, look in mirrors... sensory heaven. ** Next to the Granny's Apple Fries stand there is a walk way and it is usually empty expect for a few kids in the stand alone big block lego play spot. Quiet and there are benches there to take a seat too. * Sensory Water Play - Another good way to let your little one let lose is to have them run around and play in the water area that is next to Heart Lake City. There is a splash pad area with water play hoses and water that comes up from the ground. Good way to cool off or let your over stimulated little one just get wild and wet! Separate from the Water Park that is an option too, you can add that to your daily ticket for the day as well. 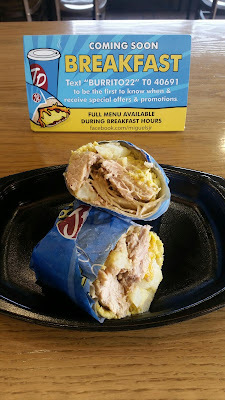 * Dietary Restrictions - Legoland CA does have a variety of healthier options, foods, snacks and juices .. .but... if your have a kiddo like mine that only eats 6 or 7 things total it can be tough anyways. I love that you can bring in your own snacks and food and for someone that needs to do that for their Autistic kid, that's amazingly great! We can not wait to head out to Legoland CA tomorrow so please follow along as we bring the New Ninjago World LIVE to you! Check back after and catch up on our recap and review of all the fun you will have at Legoland Ca in Ninjago World after May 5th when it opens to all! DON'T FORGET - RIGHT NOW YOU CAN BUY 1 DAY and GET 4 DAYS FREE! FOLLY Entertainment to Kick Off Dapper Day Expo FRIDAY! Friday, April 29 is the Dapper Day Expo FOLLY Event!! This event that takes place Friday the 29th at The Jazz Kitchen in Downtown Disney. Hot Tip - Get your tickets early and get there early... I heard last year there was a long line out the door of Swing Dance fans wanting to join in on all the dancing, live bands, and delicious cocktails. I love everything about Dapper Day and all the fun inside the parks too... but what if you do not have passes of just could not make it into the parks?! I think this is a great opportunity to be part of the best festivities. Enjoy the evening and the swing setting, return for the expo at the Hotel as well. Have you been to Dapper Day in the Parks / Expo FOLLY Kick Off before.... tell me what you thought? What are you looking forward to most about the Expo itself? I can not wait to see the festive attire and well I have to admit... the awesome hair-do's! GET YOUR PAPERLESS TICKETS NOW AND BE SURE YOU ARE ON THE LIST FOR FRIDAY - HERE! Spring Dapper Day Expo at the DLR! Spring has Sprung at the Disneyland Resort - Dapper Day Weekend is Coming Soon! DAPPER DAY Expo April 30th to May 1st 2016! DAPPER DAY® Events celebrate sophisticated style from yesterday and today. In just over five short years since its inception, DAPPER DAY has exploded in popularity, expanding upon the original “DAPPER DAY Disney park outings” concept with FOLLY (our 21+ cocktail parties) and the centerpiece, our nearly 30,000 sq ft. marketplace, the DAPPER DAY EXPO at the Disneyland Hotel. The Spring 2016 Expo is the largest to date, with dancing and live bands, plus over 60 vendors and exhibitors "celebrating sophisticated living from yesterday and today.". Sponsors include: LA WEEKLY, Disney's Alice Through the Looking Glass film, PUBLIC Bikes Petersen Automotive museum, and more! PUBLIC Bikes, in partnership with DAPPER DAY, is giving away a custom, special edition DAPPER DAY PUBLIC C7 9th Avenue bike - a value of $699! Petersen Automotive Museum will be displaying their 1934 La Salle in the EXPO hall. The FOLLY / nighttime event on Friday, April 29 at The Jazz Kitchen in Downtown Disney will be hosted in advance of the EXPO launch, entertainment by Big Butter Jazz Band. There will be a giveaway through LA WEEKLY of two park hopper passes and a night at the Disneyland Hotel during the weekend of DAPPER DAY. Contest goes live Friday, April 8. There are Early Bird Entry tickets to the EXPO being offered, which was a huge hit last fall! Tickets are $25 and guests are able to come in at 10am for first early shopping plus complimentary continental breakfast. Entertainment schedule is TBD EXPO but will include live performances by Big Sandy and His Fly-Rite Boys and California Feetwarmers Dancing and dance lessons, and the first official DAPPER DAY Meet and Greet with surprise guest. This year, for the first time, there will be complimentary DAPPER DAY Shuttle, sponsored by Pin-Up Girl, transporting guests from Downtown Disney/Grand Californian to the EXPO at the Disneyland Hotel, and back. Can't wait to see all your photos! Happy Sunday - It's Giveaway Time! Enter to Win 4 Ticket to the Angels VS KC Royals! Classic Kids Photography Event to Benefit CASA of OC TONIGHT! Classic Kids Photography is Now Open in Corona Del Mar Plaza, Newport Beach! Grand Opening Event Tonight to Benefit CASA of Orange County! All the proceeds of tonight's event will go to CASA of Orange County! What is CASA of OC? Court Appointed Special Advocates is a non-profit organization serving our counties most severely abused, neglected, and abandoned children through the recruitment and training of volunteers who advocate for their best interests! You can find out more and event donate direct at http://www.casaoc.org/ !! Find out more about Classic Kids Photography Newport Beach at http://classickids.com/our-studios/newport-beach/ . Thank you to all who attend and support! We Love the Disneyland Resort ! A lot of our family time is spent at DLR & inside the parks. It is a huge help when my husband is there with is but for a long time I feared going anywhere let alone Disneyland with out him having to control an outburst of emotion from my autistic son. Although he is high functioning he is still on the spectrum with sensory as well. Fast forward to a year later after ABA therapy and preschool with speech...he has come a long way and I can take him anywhere comfortable in control. ..well most of the time haa! WOW! Visit Legoland This Weekend ONLY for $35 !! Word on the Bricks is that an awesome opportunity is coming this weekend to visit +legolandcalifornia for a discounted price!! Legoland Blogger Insider Info ! Be the first to know all new info by following my blog! Support our local science, arts and after school programs this Saturday and Sunday! Specially-priced $35 LEGOLAND tickets include admission with Park hours extended to 8 p.m. for even more family fun! Buy tickets now HERE FOR SATURDAY and HERE FOR SUNDAY ! Take advantage of this great offer and support local Carlsbad school programs, this weekend only! We Love Family Time Spent at The Grand Legacy at the Park! 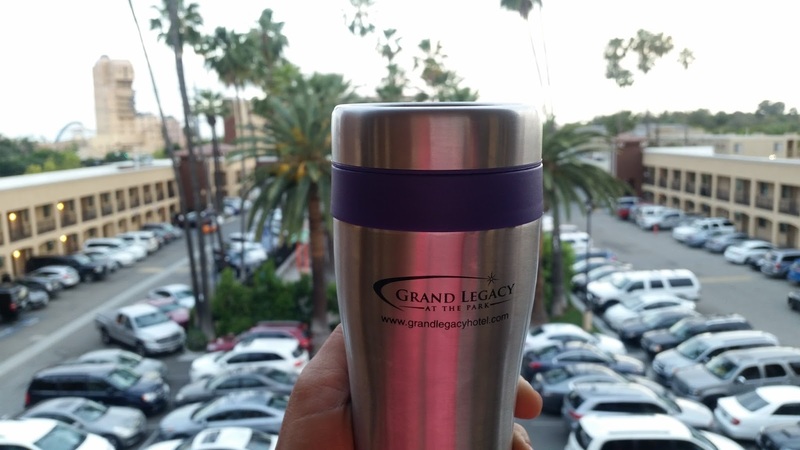 Perfect Staycation Location in Central OC! I've got the scoop on all the new additions coming with in the next few months! 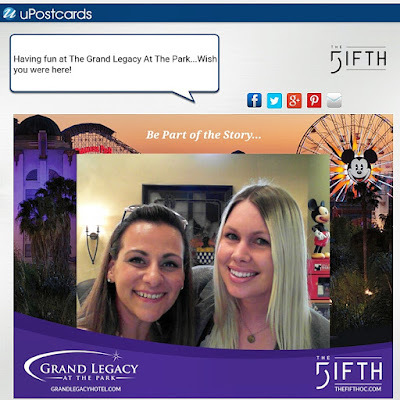 Formerly knows as Ramada Main Gate at the Park, The Grand Legacy at the Park, has been working extremely hard towards a revamp, refreshed and remodeled look for 2016! 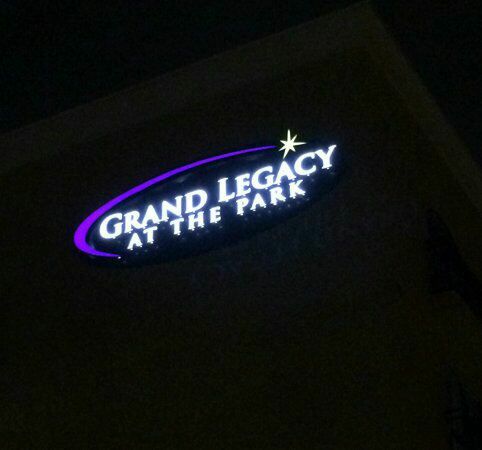 They even have a new sign up that has a star that changes color and are so proud of the date Feb 2, 2016, when they officially became known as the Grand Legacy at the Park!! I am so excited for them all too. We usually hit the Disney Parks as a given when we stay at the Grand Legacy, but this time decided to hit the parks on day 2. 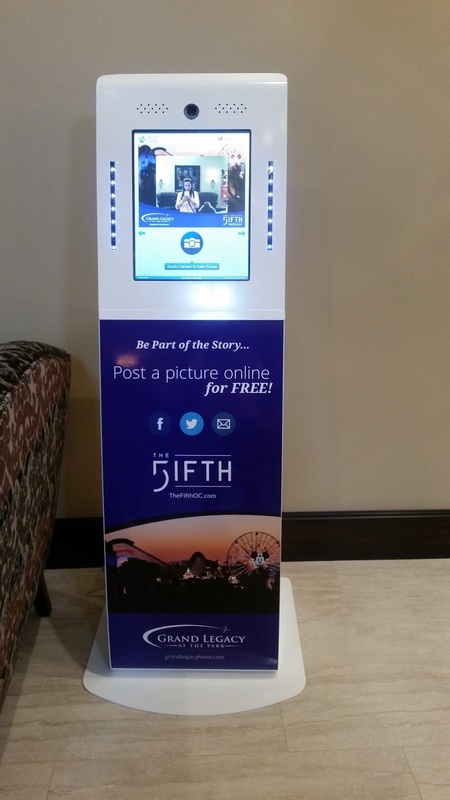 Did you know that they offer annual pass discounts and also early check in?! Love it! This time since it was over Spring Break we decided to just go with the flow. What I mean to say is, take it slow, not rush through the beauty of the property itself and enjoy the things that are there for us to relax and do. 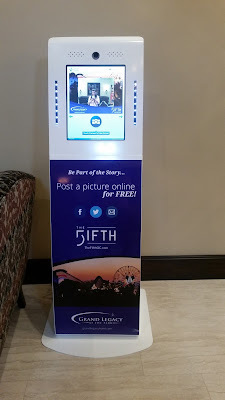 Something fresh and fun...I had a lot of fun taking pics in the stand alone photo booth inside of the new classy lobby. Not going to lie, I could have sat there for an hour taking pics to post and send, but soon this fun way to share selfies at the Grand Legacy will be on their soon to be open Roof Top Lounge, The 5ifth!! Kids of all ages, adults too, will totally enjoy this display of Antique Trucks and historical fun! See antique trucks, step onto train cars, take a ride on trolleys! Thousands of truck enthusiasts and rail fans will gather Sunday, May 1 at the Orange Empire Railway Museum in Perris, CA for the annual Antique Truck Show. This one-day special event at Southern California's railway heritage park will feature hundreds of restored, vintage trucks -- from semis to pickups to delivery vehicles and farm and fire equipment - in addition to rolling locomotives and street cars. The event is co-sponsored by the American Truck Historical Society Southern California Chapter and the Orange Empire Railway Museum, whose missions are to preserve trucking and rail history in Southern California and the West. The Orange Empire Railway Museum opens from 9 a.m. to 5 p.m. with trucks on display until 2:30 p.m. Admission is $7, $5 for ages 5 to 11, to view hundreds of restored trucks. A $12 pass ($8 for ages 5 to 11, will include the truck show and rides on electric trolleys and locomotives. Age 4 and under can enjoy the day for free. The Orange Empire Railway Museum is an all-volunteer organization that has been preserving Southern California's railway history since 1956. The museum's mission is to educate the public on the technology, history, and impact of the rail transportation industry in the West. Over 200 rail cars and locomotives, ranging from Los Angeles street cars to modern diesel locomotives, are preserved at the museum's 100-acre site at 2201 S. A Street in Perris, California, which is open 363 days of the year. For information, visit www.oerm.org or call (951) 943-3020. Fresh Fast and super Authentic Miguel's Jr is Bringing Breakfast to you starting in the 19th! 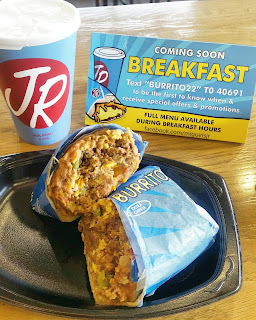 Starting on the 19th of this month and then rolling out to all Miguel's Jr locations on the 25th, Breakfast will be served! Check out the variety of Breakfast options that Miguel's Jr is bringing us all! 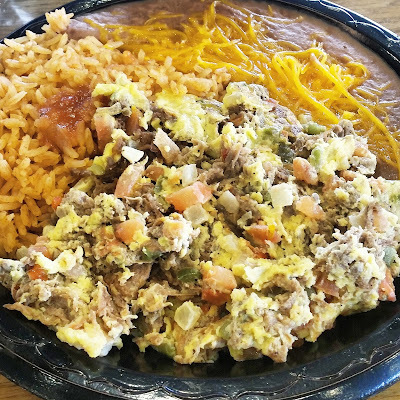 What I love most is that it is fresh, not heavy at all, made authentic with family recipes and for drive through fast food the plates are large portions to fill you up. 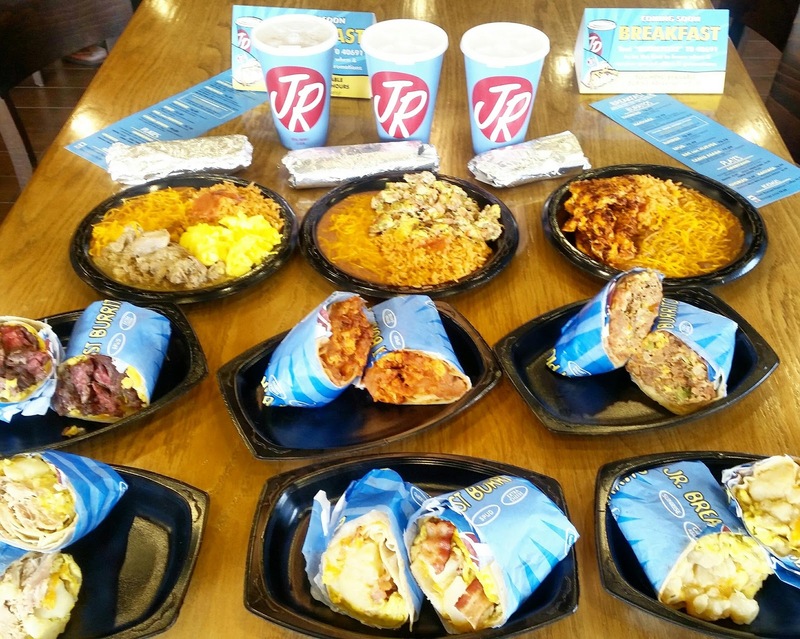 You can customize each plate or burrito just the way your or my picky kid likes it! I have one kiddo that eats it all and then some but I also have a picky eater. This is great for them both. I also have a husband who can pack it away... the portions are great for him too. 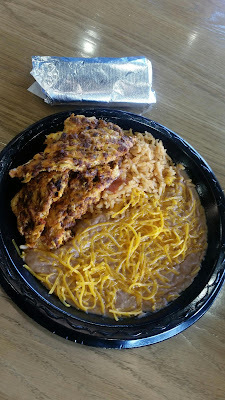 A little back story on Miguel's Jr and then we can get into the photos of the foods I was able to see and or try myself! 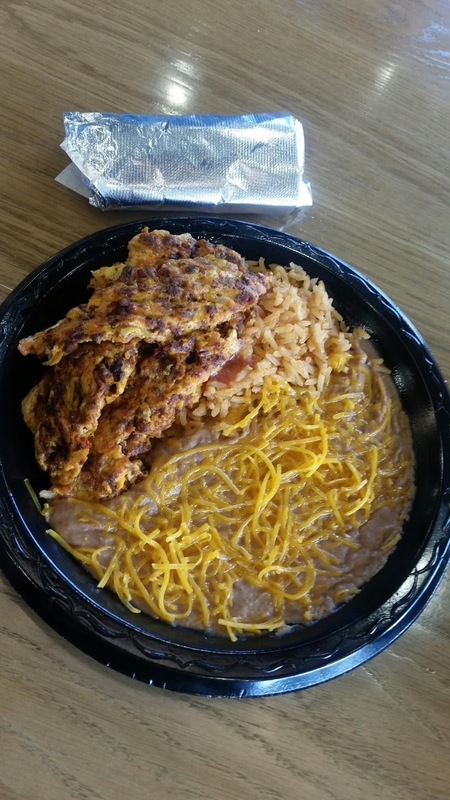 * Evolved from the ever so popular Miguel's Restaurant. * Recipes are Mary's, the co-founder and head Chef! Her recipes first fed Southern Californian's in 1973 and has grown since then rapidly. * Nothing is ever Frozen! * Mary says her best ingredient is "love"
* Breakfast is New - Okay I know I have been telling you that. But it is 40 years in the making and really tasty! * Will be served starting the 26th and be in all locations by mid June. * Breakfast will be served 6am to 11am weekdays and 7am to 1pm on weekends. * Homestyle Fresh to start the Morning even if on the road, if not take it back hoe or eat on location. 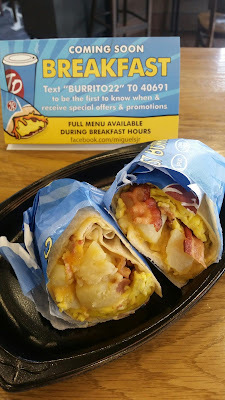 To help kick off the fun of the new Breakfast Menu, I am able to giveaway some Gift Cards to help some of you try out the tasty goodness too! 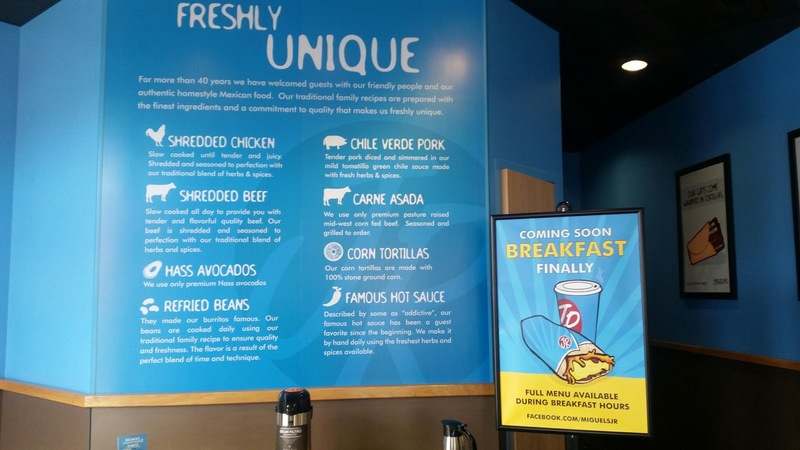 After you try out the new Breakfast Menu at Miguel's Jr, let me know what you think too!